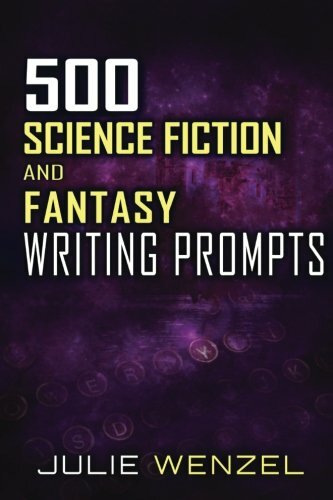 This book is a collection of 500 science fiction and fantasy writing prompts of varied tone, tense, and points of view. Some of the prompts you can expect to see in this book includes: medieval times, artificial intelligence, mermaids, ancient artifacts, dragons, aliens, government conspiracies, space travel, wormholes, and more! 19. Write about a cute creature that arrives on the planet Earth to protect a young girl from danger. 32. Write about a waitress that discovers her own superpowers after becoming irritated with rude customers. 71. You submit a DNA testing kit to find out information about your ancestry for fun. Months later, three men knock on your door to talk about your results in person. Additional testing is required. You have no other choice but to come with them. Having 500 prompts at your disposal gives you over a year’s worth of writing material. Prevent writer’s block and stay inspired with 500 Science Fiction and Fantasy Writing Prompts. This book is perfect for classroom exercises, writing contests, novel inspiration, NaNoWriMo, writer’s block, or to fuel creativity.